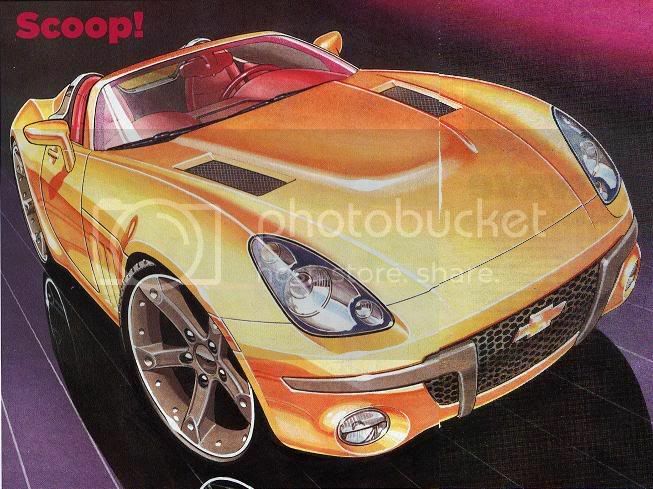 Motor Mania Buzz: 2008 Chevrolet Stingray? Could this be the next Chevy Stingray? If I'm not mistaken this car should be called "Chevy Corvette Stingray:. In the 60's this car was called the Corvette Stingray. Why change the name? The face of the car is smiling and dosn't look aggressive or mean. No idea what caatorgory this willl come under but I'm guessing it will take on the Pontiac Solstice.